I’m using Aurasma for an Augmented Reality project on the colonies to share with another school’s 5th grade class that is still a work in progress. Another teacher overheard us discussing the project and wanted to try Aurasma in her 7th grade science class. Her students were already in the middle of a planet project. 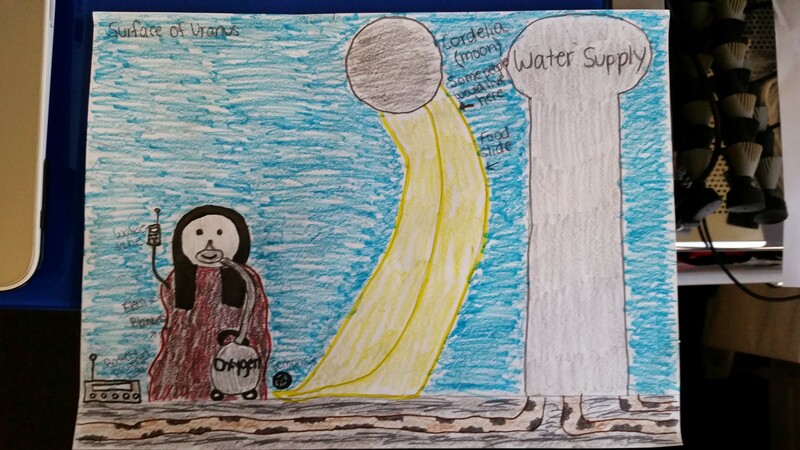 In this project, the students studied a specific planet and then determined the necessary requirements for the planet to support human life. 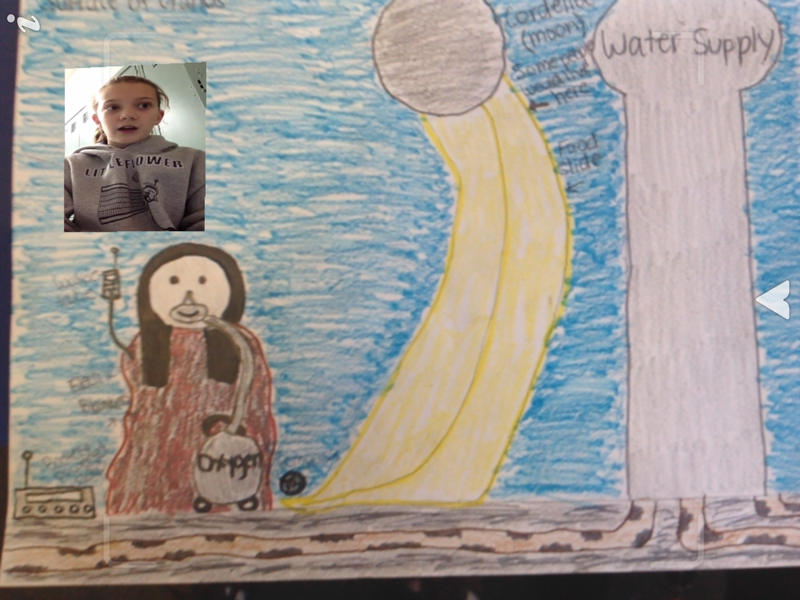 They would then illustrate a picture visually representing the planet’s new features. While the work wasn’t anything significantly groundbreaking, it was a simple way to introduce the students to Augmented Reality and Aurasma. This introduction opens to door for us to do more complex and innovative projects later in the year!